Don`t want a themeed moonwalk? 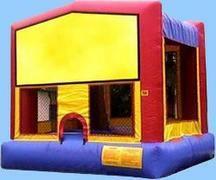 No problem!, Just rent a plain moonwalk for your event! A great generic jumper for any event.